The directorial debut from acclaimed playwright Debbie Tucker Green, Second Coming hits our shores this Friday, June 5th, after a very good showing on the festival circuit. 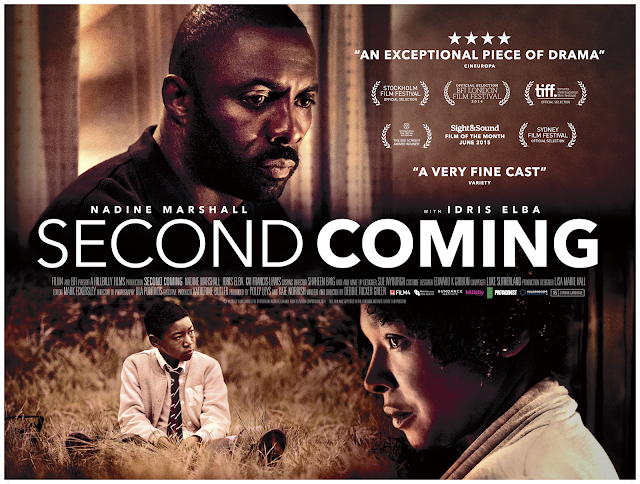 Starring Nadine Marshall and Idris Elba, the movie follows Jackie (Marshall) who finds herself falling pregnant, even though she hasn’t been with her husband Mark (Elba), or anyone else for that matter, in months. Keeping it a secret from her family, Jackie’s sanity starts to crumble as this seemingly immaculate conception begins to take a toll on her life.